Amanda knows her stuff. 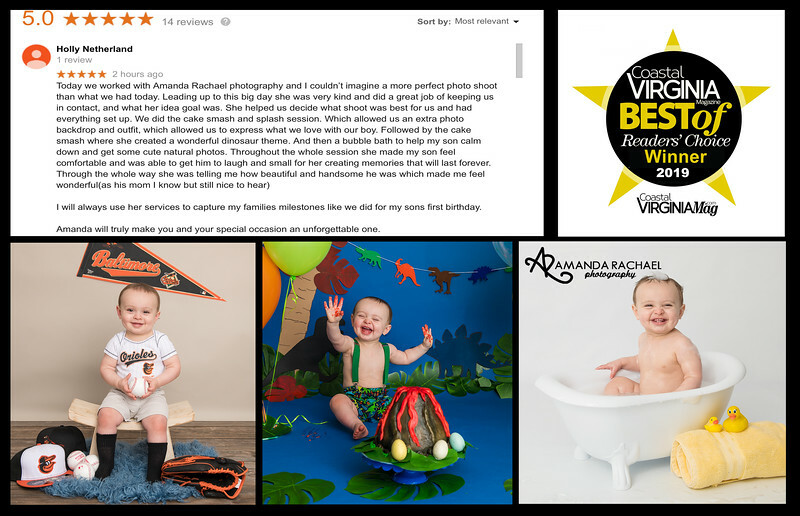 She has been doing professional photography for years (not sure how many, but it's a lot) ... she is great with kids, babies, outside or inside and she has this way of putting you at ease. She's amazing. Give her a call. I can't imagine that you could ever find another photographer more patient, understanding and loving of babies. Coupled with her amazing talent we always get the most heartwarming, gorgeous and stunning images of our beauty. Baby photos with Amanda are a MUST, not a nice to have!!!! Amanda is so unbelievably creative. We love her work and will miss her when she leaves Texas. What a wonderful experience! So much patience with my baby! Cant wait to see the results! Will be coming back for her 3 month pictures! Amanda took amazing photos of our family in summer of 2012 - we had both outdoor and indoor photos done. She generated multiple poses for our family of five and they were the best family photos we've had to date! Wish she was still in our area! Amanda took my kids photos for the past 6 years for different occasions (pageants, modeling, Easter, Christmas, etc.) My daughter won many overall photogenic titles/awards with Amanda's work. Both of my kids loved going to her studio. She was patient, upbeat, and knows how to make kids who have a hard time with a natural smile/cheesey smile....smile. Her work is amazing. She truly captures your children in ways many can't. Amazing photographer was avle to get fantastic pictures of my two oldest for Christmas and fantastic newborn photos of my youngest! Would not have wanted anyone else to capture that time! Newborn shoot with my son in 2012. She's the baby whisperer! She produced amazing images. The experience having you do my gran babies photos was wonderful they were very comfortable with you & you worked with them on their level which made it an awesome photo shoot they just did their own thing with some ideas & help from you & they had so much fun & the pictures came out excellent I would recommend you any day You make taking pictures Fun & that makes a huge difference!!!!!!!!!!!! When I was looking for a photographer for my wedding, a friend recommended Amanda Rachael Photography... And I am so thankful they did! I am so pleased with my photos! During the process, Amanda was very professional, thorough and patient. I got all the photos I asked for and plenty more and very quickly! She even gave us a few sneak peeks during the short wait. I couldn't ask for a better photographer... Especially for a wedding! Everything was explained in detail and she knew so much about weddings in general. She definitely made our wedding day stress free!! Amanda was amazing with my little 4 pound preemie.. Our pictures were breathtaking... We could NOT have been happier. We miss you Amanda! Move back to Maine! Amanda is a wonderful photographer and great to work with. She was our wedding photographer and she captured the wedding beautifully. We have gotten so many comments on our photos and people often ask me who our photographer was. We got our photo's back in a timely manner and she made us a beautiful photobook. Amanda has taken my families pictures for years and we have always been beyond thrilled with the results! She has an amazing talent when it comes to getting even my difficult son to smile; and I love that our pictures are always unique. She often started a session with "This might seem odd, but I want to try something..." :-) Because of her creativity, patience and skill, we have years of beautiful memories, moments frozen in time, that we will cherish forever! I very highly recommend Amanda Rachael Photography! Amanda and I met by chance and She was one of the greatest helps to getting my own business off the ground. She took many professional photos of my boutique items for me to use in my store. They are amazing and contribute to my high sales! She also did photos for my daughter and her husbands engagement and they were amazing. I truly wish she were still here in Maine, Texas is blessed to have her!